Here are the four ways to administratively challenge a patent or patent application. Note that I do not consider an ITC (International Trade Commission) case an administrative challenge. The challenges are organized from least expensive and complicated to more complicated and expensive. For more information see http://www.uspto.gov/forms/3prsubmission_instructions.pdf. Third-Party Submissions must be made (1) before the later of (i) 6 months after the date the application is first published by the Office, or (ii) the date of a first Office action on the merits rejecting any claim, and (2) before the date a notice of allowance is given or mailed. (I) The reexamination file is scanned into IFW to provide an electronic format copy of the file. All public access to and copying of the reexamination file may be made from the electronic format copy available through PAIR. Any remaining paper files are not available to the public. Essentially this is a mini-lawsuit in front of the Patent Office that requires the challenger to present mainly publications as evidence that a patent should not have issued (35 USC 102 & 103). This process must be initiated within nine months of issuance of a patent. The decision is non-appealable. This is a newly introduced process by the AIA. 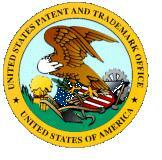 In general it only applies to patents filed after March 15, 2013. This process will allow the challenger a broader range of challenges than Inter Partes Review. How Do You Determine if it Makes Economic Sense to File a Patent? Just because you can obtain a patent for your invention does not mean that you should file for a patent. So how do you determine whether it makes business sense to file a patent application on your invention? The goal of filing a patent application is to create a barrier to entry. There are many ways to create a barrier to entry in business. For instance, a company’s customer list can give you an advantage over potential competitors since they will not know who the key people are in the industry. Another barrier to entry might be your location if you are a retail store. A gas station on at a busy intersection with easy access has an advantage over competitors that cannot be at the same busy location. Trademarks may also provide a barrier to entry. In order to understand the value of a patent to your business it is helpful to make an analogy to physical barriers to entry. You probably lock the door to your house, but you know that someone can break the window and still get into your house. So why do you lock the doors to your house? Probably because you know that it will slow down any burglars and make it more difficult to enter your house. As a result, you increase the chance that any burglars will either give up or move on to someone else’s house. Note that you can always spend more money on the locks to your house, but at some point it doesn’t make economic sense. If you spend $1 million on a safe for a $10K diamond, it doesn’t make sense. The same thing is true for patents. You are not trying to create a perfect barrier to entry, you are trying to increase your competitors cost and slow them down if they decide to compete with you. For many of my clients the main goal is to make it painful enough for someone to compete with them that the potential competitor would rather buy out my client. Thus the question is not whether you can afford to enforce a patent, or whether having a patent will eliminate all you competitors, but whether filing for a patent application or obtaining a patent will increase your competitor’s cost and slow down their entry into your market. If you spend $10K to obtain a patent and it increases your competitor’s cost $100K and slows them down, then it probably makes sense to file a patent application. The size of your market must also be taken into account. The bigger your market the smaller the barrier needs to be. For instance, a company with $5 billion a year in sales in a well defined market should file patents on almost any invention in their market space. Vice versa the smaller the market the bigger the barrier to entry needs to be. I have had clients walk into my office where I am pretty sure we can create an almost perfect barrier to entry, but the market is only $80k a year. This is essentially buying a job and it makes no sense to file a patent for that size of market no matter how strong the barrier to entry. Remember the goal of patent is to create a barrier to entry. Just like physical barriers to entry, you should not expect a perfect barrier to entry. For most startups, you want a strong enough barrier to entry that your competitor will buy you out rather than compete with you. I often hear something like ‘only 2% of patents every pay off’ or are commercialized. This comment is quoted as if it is gospel and often is said in a snide or cynical way. This comment came to my mind as I was preparing a list of patents and associated products for one of my clients. This client has seven or eight patents and every single patent covers a product my client is producing and selling. While I certainly have clients that have filed for patents that are not licensed or being practiced, these are the exception not the rule. The economist Jacob Schmookler in his 1966 book Invention and Economic Growth, investigates this issue and his survey showed that over 50% of patents are commercialized. 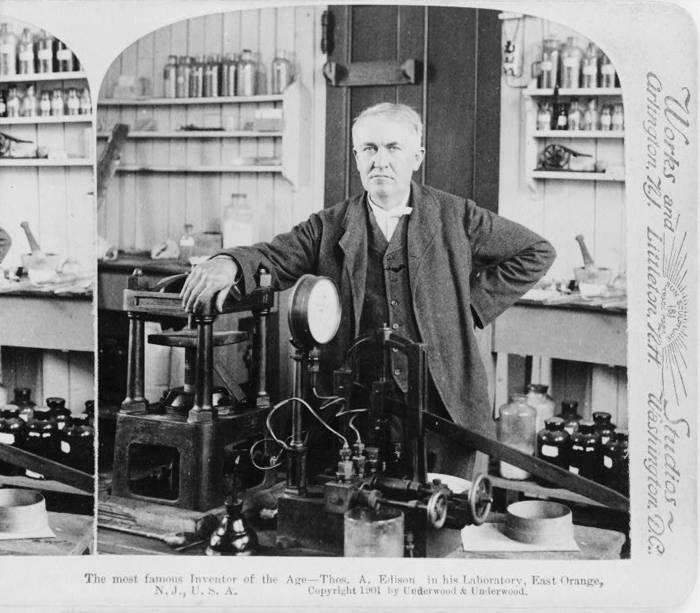 Economists Lamoreaux and Sokoloff investigated the rate at which independent inventors were able to sell their patents around 1900 and at that time it was around 30%. Clearly, the myth that only 2% of patents are ever commercially successful is without basis in fact. I believe this myth about the success rate of patents is part of an attempt to devalue patents and inventors in general. Large companies that do not want to pay for using other people’s inventions (patents) use this myth to paint inventors who sue them as crackpots. In addition, these companies use this myth to pay their employee inventors less. The anti-patent crowd has an interest in perpetuating this myth, because it demonstrates that patents are economically unimportant. However, the evidence shows that patents are successful financially at a much higher rate than the myth suggests and this shows the importance of patents and inventors to our economy. The America Invents Act (AIA) has changed the rules for marking products with patents. The law allows you to “mark” you product by providing a website that explains which patents cover which products. This is a positive step to move the patent system into the 21st century. The reason for marking you product with a patent number is that it provides “constructive notice” to infringers of your patent. Damages for patent infringement accrue from the date of actual or constructive notice to the infringer. As a result, the damages you may recover will be larger the sooner an infringer is deemed to have notice of your patent. From a practical point of view, having a website explaining which patents cover which products is significantly easier and less expensive than marking the actual product or the product’s packaging. If it is not too expensive to also mark your product or its packaging I would suggest that inventor’s do both. (1) IN GENERAL.—Section 287(a) of title 35, United States Code, is amended by striking ‘‘or when,’’ and inserting ‘‘or by fixing thereon the word ‘patent’ or the abbreviation ‘pat.’ together with an address of a posting on the Internet, accessible to the public without charge for accessing the address, that associates the patented article with the number of the patent, or when,’’. Is this a good deal for Google? Does it make economic sense? In buying Motorola, Google gets a company that has been in the forefront of mobile communications since its inception. The biggest risk is that Motorola is bit bureaucratic. They were slow to develop CDMA phones in the 90s and never completely recovered. Motorola has been hardware focused, when the industry is clearly being driven by software advances now. The main reason for acquiring Motorola is to get their patents and leverage them into freedom of action in the Andriod market space. There are numerous people complaining that Google’s $12.5 billion is being spent on patents instead of being spent on engineers and products. Actually, spending money on patents IS spending money on engineers. Engineers created the inventions and the patents just provide legal title to the inventions. When companies spend money acquiring patents they are spending money for the development of inventions and therefore engineers. If inventions are not protectable, companies do not spend more on engineers they spend less. They just take other people’s inventions, rather than paying for internal or external development. In fact, you can trace engineering salaries and employment to strong patent laws. Countries with weak patent laws either have very few engineers or their salaries are fairly low or both. New products are the result of inventions. Increases in our level of technology are what make us wealthy. When people pay for patents (inventions) it encourages other people to innovate, it does not discourage innovation. There has been a lot of wailing about too many over broad patents being issued. This whining is coming from the same people who complained about Amazon’s one click patent, which was upheld after numerous challenges. Why did Barnes and Noble get a 10x increase in online sales (after copying Amazon’s one-click technology) if the one click patent was not innovative? All objective measures of patent quality have been increasing for years. For instance, the GDP per patent, R&D dollars per patent, and number of citations per patent have all been on the increase. For more information see Patent Quality Nonsense. Do some bad patents get issued? Absolutely and some of my clients have been affected by this. However, most people making the claim that there are too many bad or overly broad patents do not even know that the scope of a patent is determined by its claims. They do not know that claims cannot be read like prose, they have to be read like an equation where every word has to be given meaning. Many people see this acquisition as just another outgrowth of the numerous frivolous patent cases being filed. However, the facts do not support this point of view. Judge Michel, former head of the CAFC, the court which hears all patent appeals, points out that the number of patent suits filed each year has remained constant at less than three thousand. Only about 100 of these suits ever go to trial. In a technology based, $14.5 trillion economy with over 300 million people and 1 million active patents- THIS IS A TRIVIAL NUMBER. Are there any problems with our patent system? Absolutely. The underfunding of the patent office causes inventors to wait years and even up to a decade to receive their patent. But, more specifically to the Google/Motorola case, the wireless smart phone space needs a more efficient method of clearing patent rights. I suggest a non-profit entity similar to ASCAP, which clears copyrights for musicians and composers. For more information see Patent Wars a Market Solution. Finally, for those worried about the poor, small company who had a great idea for an app and are now scared they may find themselves embroiled in a patent lawsuit- GET A PATENT CLEARANCE OPINION before you develop.